Job openings are posted as a service to the members. Unless otherwise requested, each opening shall be listed for two months and then removed. 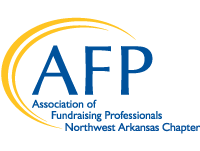 If you have a job opening you would like posted on the website, please send either a link to the job or a pdf of the job description and contact information to Hope Bradberry at afpcommunications@gmail.com. 2/14/2019 Director of Development Life Styles, Inc.